In a year of fantastic music, one album stood out – The Outer Church compilation on Front & Follow records. This amazing assortment of artists, associated with Joseph Stannard’s Brighton club night of the same name, has been collected into one of the most essential musical anthologies of this or any other year. It is an album to glut yourself with, offering so many aural avenues to wander. Really great compilations offer a platform from which to explore unfamiliar music, a guide to use in setting off on your own, a blueprint for future releases, and not a sealed hermetic capsule; this over-achieves on all fronts. Rather than offering a summation of a scene, ‘The Outer Church’ presents an introduction to a fascinating and entirely absorbing world of sound. 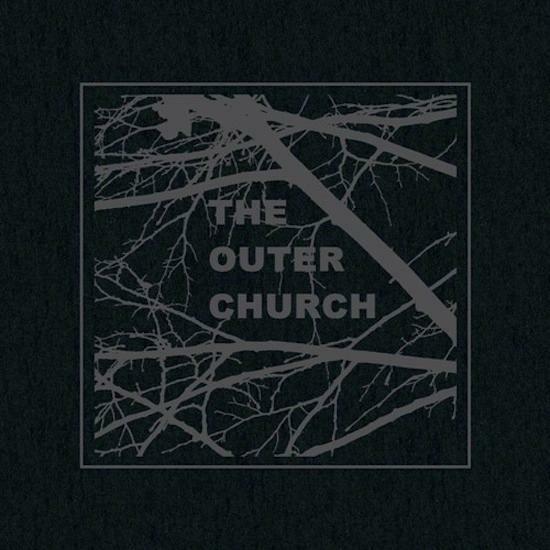 However, ‘The Outer Church’ was by no means the only album worthy of our attention this year. Below are (in no particular order) a number of albums that captivated this blog throughout 2013. ‘Anything Bright or Startling’ is Aine O’Dwyer’s first recording with vocals, an album of bewitching harp compositions. The arrangements are perfectly balanced, the intricate web of harp structures are hung with moist dew drops of piano and glockenspiel; Áine’s voice stalks the threads like a musical spider; the whole construction expanding and flexing but always keeping its shape. This is an album that will capture your imagination for its entire duration; once entered it is only reluctantly and temporarily left. Find it here. ‘Exit!’ by Fire! Orchestra is an astonishing record. Mats Gustafsson, Johan Berthling, and Andreas Werlin have expanded their trio to encompass four drummers, four bassists, electronics, assorted massed reeds and brass, and some awesome vocalists. They have together created something that will pin you to the wall. ‘Exit!’ is the sort of record that makes you glad to be alive. Explosive and ecstatic, it nevertheless possesses periods of calm and space amidst the chaos. Ambitious, impassioned, furiously delivered music to make you squint your mind and flinchingly revel in the sheer excess and majesty of it all. Buy it here. ‘UHF’ is a brilliantly eerie follow-up to Hacker Farm’s previous ‘Poundland’ release. This is an album sculpted from the debris of a post-boom economy: rusted trolleys in weed choked canals; tattered and urine soaked pay-day loan posters, fluttering in a non committal breeze. A landscape made weird, dangerous and depopulated. This is a soundtrack for the frayed edges of society, ballads for the edgelands. Get it here. 6 & 8 are a duo of electronic music producer Rory McCormick and poet / vocalist Jessica Peace. ‘City Plaintive’ is a brilliant, fascinating album. Mysterious but not impenetrable, it promises a little more with each listen; new sounds, weird buried samples, previously unnoticed audio spaces. Like the cities it wanders, new alleyways appear, buildings vanish, forgotten signs point to demolished tunnels; a magical sound-scrapbook of places in constant flux; an exploration of the weirder parts of the mind and cityscape. ‘City Plaintive’ is available from Xylem here. ‘Songs from Badly-Lit Rooms’ by Tom Jackson (clarinet) and Benedict Taylor (viola) is a collection of excellent chamber improvisations recorded over two years at various locations. No halting initial stall-setting seems to occur at any point, Taylor and Jackson launch into what sound like instant compositions, songs that seem to have an incredibly complicated exploded structure, like an “on the fly” set of Serialist frameworks, conceived algorithmically by generative music software. Two remarkable musicians of huge talent and ability combine on ‘Songs From Badly-Lit Rooms’ with fascinating alchemy; they swoop and soar in exotic unison around this brilliant collection of turbulent music. Listen to it here. Sad and pensive but lushly beautiful, it seems to breathe organically. ‘Entressis’ is a paradoxical mystery, like a still but constant moment: the flow of a river caught in frozen movement. It sounds tapped and ancient. Music of the spheres condensed into comprehensible form. Explore April’s albums on Bandcamp. A fascinating stew of drone, noise, musique concrete, diseased tape howl, and field recordings from hell; ‘Hot Jone’ is deeply and vexingly surreal, a universe on tape, a universe that recalls Wolf Eyes with its creeping insidious construction, and Yellow Swans in their ‘Psychic Secession’ era with its sudden percussive bangs and rusted textures. Listen to it here. Gail Brand and Morgan Guberman have created something special; two great artists in an inspired pairing have made a work of deranged and hilarious brilliance. It is fun, fiercely intelligent and fearless in its pursuit of an almost Dada-like absurdity. Listen to it here. This self titled debut by Matt Bower’s Revanant Sea alter ego is another fascinating release from the weird and wonderful Auditory Field Theory label. The whole album seems infused and burnt with radiation; like something withered and scorched. A bleak but strongly evocative listen, this is music for dark and wintry evenings, preferrably one where you’re unsure if the sun will rise in the morning. Find it here. This album is a full-blown sonic sludge-assault. Often savagely blunt but also hypnotically absorbing, it offers an escape from unambitious and derivative guitar bands. ‘Cuckoo Live Life Like Cuckoo’ is unmissable. Purchase it here. An album of staggering beauty, Sarah Neufeld has created a magical album of violin compositions ranging in style from austere minimalism to heart-tugging folksiness. Find it here. Reminiscent of 1970s German rock experimentation, but with a late 90s Warp slant, ‘Gemini’ taps incredibly fertile soil in a way that refences past groups without copying them. Weighty but unpretentious, eclectic but focussed, this is a lesson in wide-minded generous music making. Purchase it here. a compilation of summer evoking oddtronica commissioned from various artists and gathered on a spinning black vinyl disk by Moon Wiring Club. The artwork itself, more than worth the price of admission. Down To The Silver Sea’ is a wonderfully skewed album full of sonic delights. This is a compilation that, along with the Collision/Detection and Outer Church collections, shows the electronica of these isles to be in rude and perhaps unprecedented health. An album of deeply eerie and beautiful woodland instrumentals. Electronica for long cold nights. Find it here. Environs’, the new release from Laica follows the excellent ‘Puls’ from earlier this year. Like ‘Puls’, ‘Environs’ is split into two halves of absorbing electronica, this time sourced entirely from manipulated field recordings. 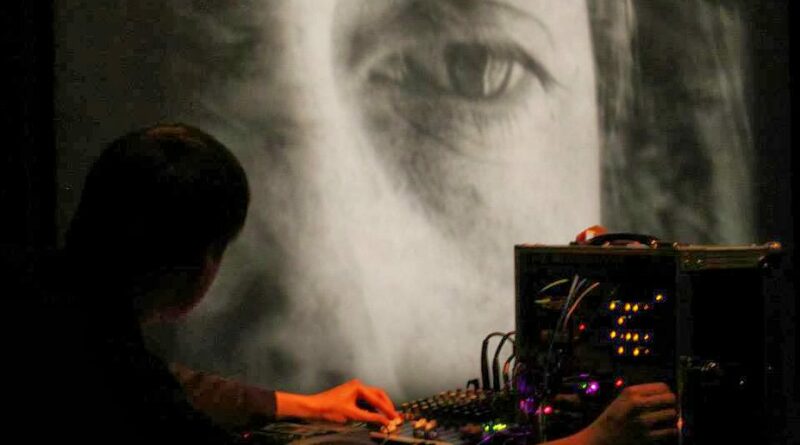 It builds on the excellent sound design of its predecessor while pushing its structures further into abstraction. Mysterious and pulsing with menace; it consists of what feels like several distinct sections, but with the edges melted and smeared together; like Burial remixing Thomas Köner. It has a hermetic structural logic all its own, a puzzle to unlock; avant-electronica that makes the listener do some of the hard work. Listen to it here. This synapse-tweaking collection of psychedelic off-pop never falters. Some of the tracks are like kitchen sink musique concrete; you can imagine hundreds of feet of tape wrapped around mugs, kettles, light fixtures, and whatever else litters Grumbling Fur’s house. ‘The Ballad of Roy Batty’ is a song of utter eyes-squeezed-shut beauty; a ballad based around the final dying words of the titular android set to a flurry of syncopated handclaps, wheezing synths and multi-tracked aching vocals. This is one high point among many, one crumb from a deep slice of brain soaking weirdness and melodic skill. More info here. ‘The Game Face’ by Dead Days Beyond Help is an album to blow away the cobwebs from the ears of fans of off-kilter rock; it suggests an engagement with the past while offering something genuinely forward looking, an alliance with free-improv techniques. This great album is a challenge to those who think art-rock has stalled or collapsed into self-regarding micro-genres. It suggests a way out. And will melt your face off, if that all sounds a bit high-minded. Buy it here. ‘Extant’ by oh/ex/oh sounds transmitted from a bleak future or an alternative present, a post-catastrophe earth or one where the Rapture has occurred, with humans entirely or mostly absent. ‘Extant’ is packed with awe and wonder; an album to gaze at the stars with; a soundtrack to what comes after the end of days; a long unwavering stare at wide vistas of moss drenched rubble. It is quietly and unassumingly wonderful. Find out more here.